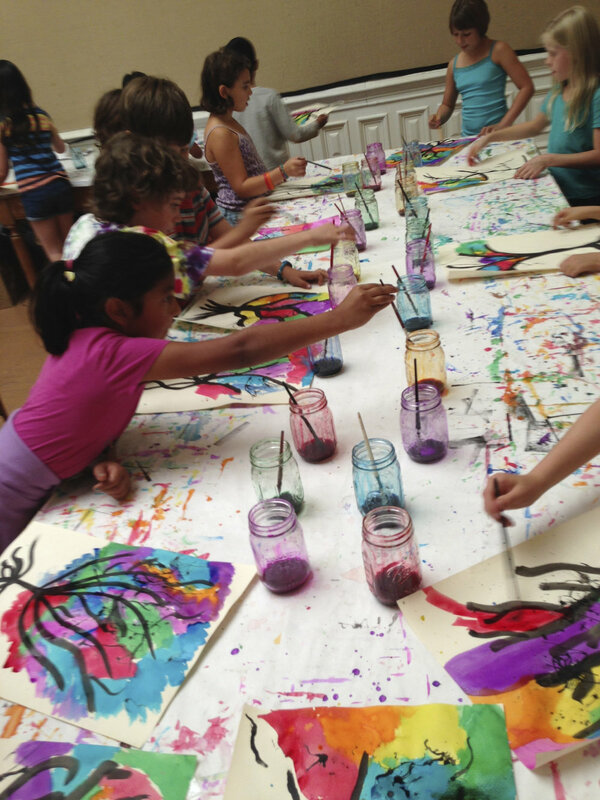 At Peninsula School, the arts hold a special place in our day EVERY day. In the classroom, challenging intellectual themes are approached through multiple forms: visual, tactile, musical, dramatic, and verbal, with the arts acting as a catalyst to help children respond and create meaning. Through this integration of the arts and academics, students learn that the way knowledge and ideas are expressed is as important as the content: a description of a heritage oak on campus could be a scientific documentation or it could be poetry. The number twelve could be six plus six, but it could also be expressed as the number of notes per measure in music, as the number of columns in a block construction, or simply as one dozen. 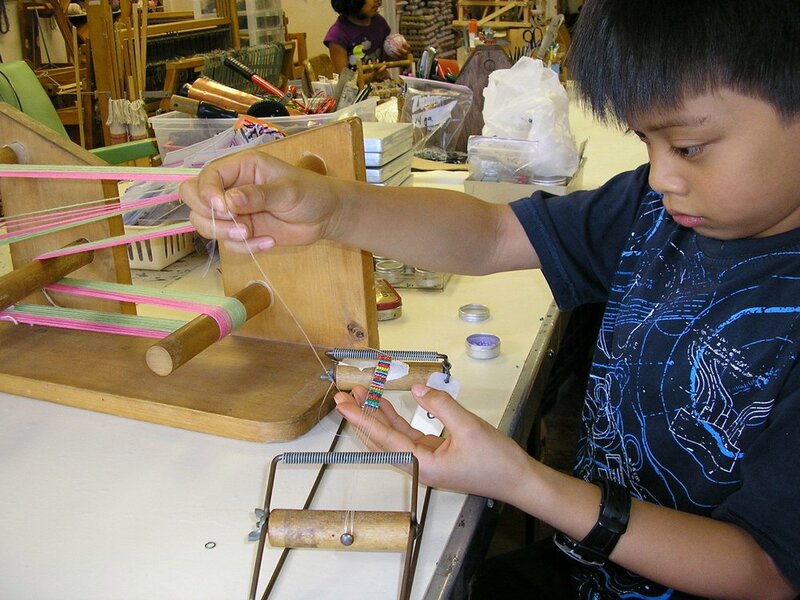 In the studios, specialists in the fields of woodworking, art, ceramics, weaving, music, and drama engage students in vigorous hands-on inquiries. 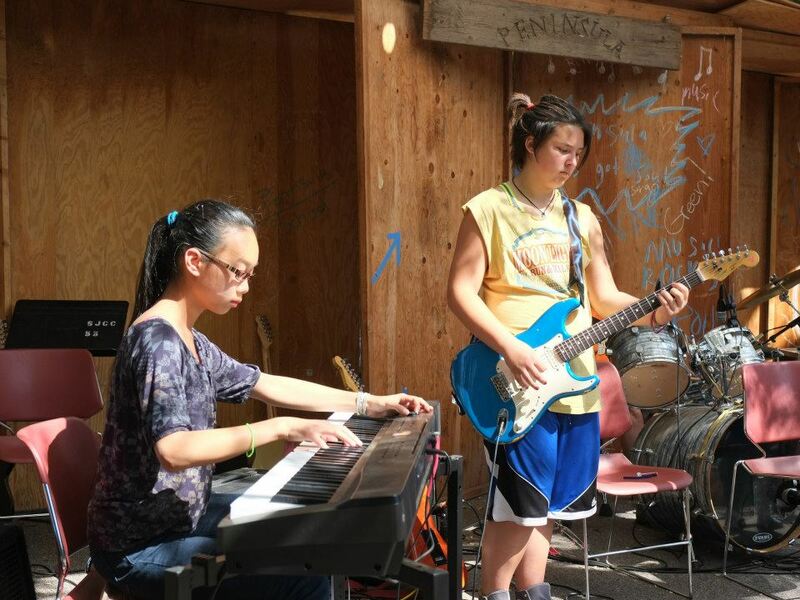 Students learn to take creative risks, they learn that the arts contain emotion as well as intellect, and they learn that they can have experiences in the arts that they cannot have from any other source. In recognition of this, the arts are celebrated throughout Peninsula. "It’s not like other schools; you get to go to different places, the classes are fun and teachers say things and teach in a really fun way." We recognize that learning through the arts allows children to express what they may not yet be able to express verbally and teaches them that there is more than one solution to a problem. Through the arts, children learn cultural diversity and heritage, they learn to make qualitative judgments, to work independently as well as in a group, to notice and appreciate subtleties, to be flexible, and to celebrate the many ways the world around them is experienced and interpreted.